I. Determine what kind of material to mark on. According to the different laser , laser marking machine has many types, such as carbon dioxide, optical fiber and ultraviolet. For metal products and non-metal products, users should choose the most suitable type of marking machine. II. Choose laser equipment according to the requirements of products to be processed. Laser equipment can be roughly divided into three types: engraving, cutting and marking according to different use-patterns. Basically, some are special machines, some with multiple functions. It should be selected according to your requirement. III. Choose the appropriate machine size according to the size of the product to be processed. 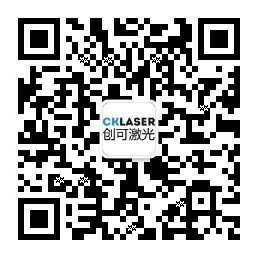 For the choice of laser marking machine's size, it is not the bigger, the better. It must be noted that the bigger the size, the higher the price. On the other hand, the average degree of laser output of some equipment with poor quality is unstable, which makes the marking products on the same platform different. Therefore, it is correct to choose the most suitable size. With the above introduction, you should have a general concept of selection. If you have any question, click online consultation to contact our customer service personnel.